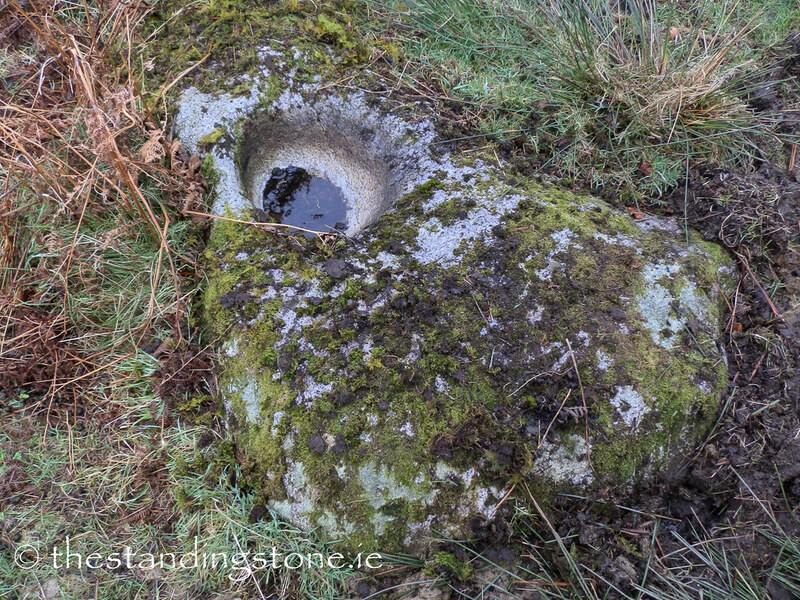 The Standing Stone: Glendalough A, Bullaun Stones, Brockagh, Co. Wicklow. 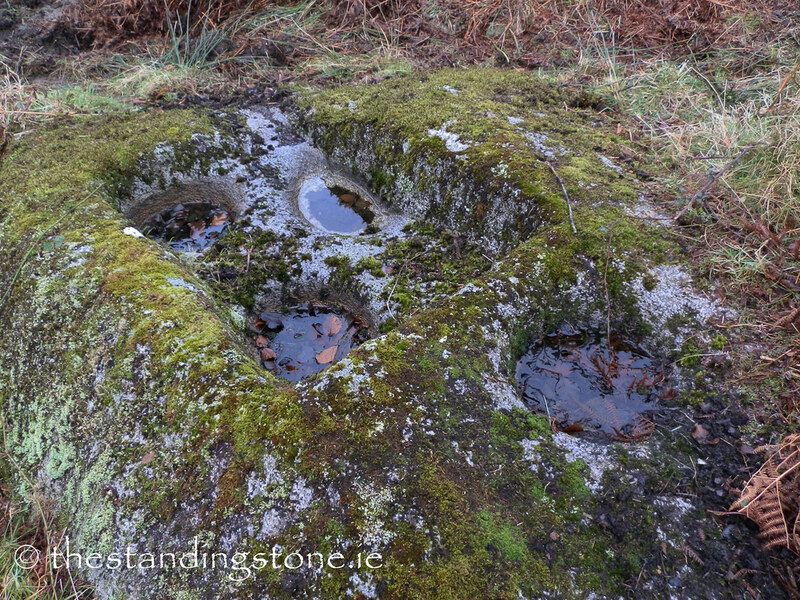 Glendalough A, Bullaun Stones, Brockagh, Co. Wicklow. Location – This cluster is close to the gate of the field where they are located. They are across the road from the main monastic city. 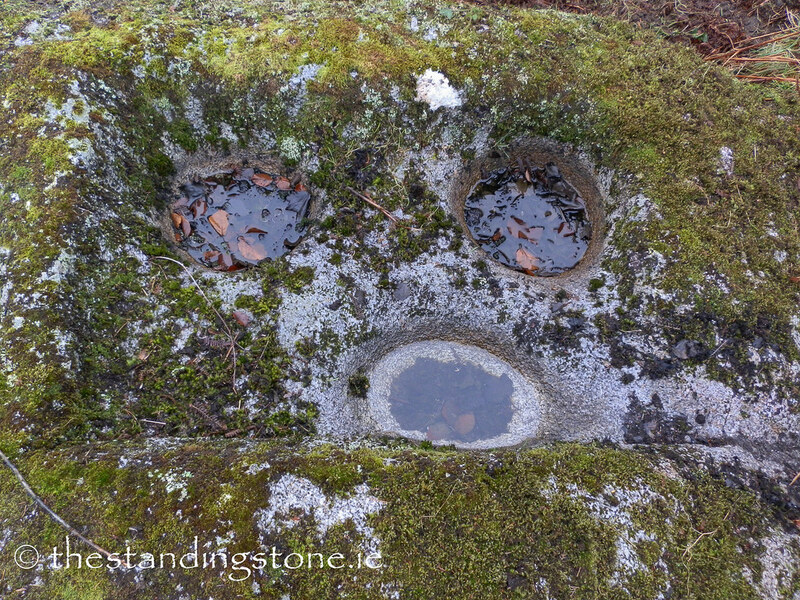 Description and History – These two stones are part of a cluster of four which together make up the ‘seven fonts.’ Four of the ‘fonts’ are located in one stone alone in a strange cut out depression. I missed two of these four stones and I hope to revisit in the future. Difficulty – These are the easiest in this field as they are close the gate. The field gets very boggy. I've never seen a bullaun like this with three hollows inside a square depression.